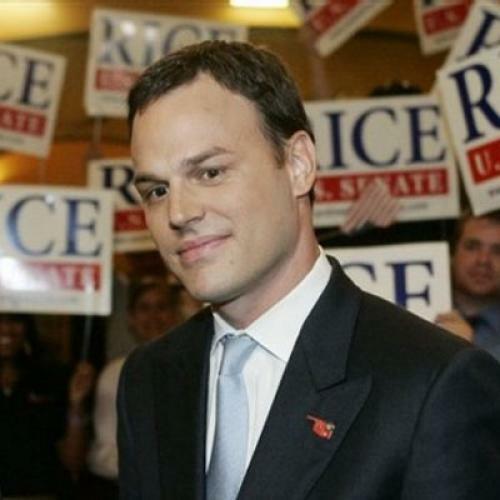 Andrew Rice is an unlikely candidate to represent Oklahoma in the U.S. Senate. A 35-year-old Democrat elected to the state senate in 2006, he favors abortion rights and civil unions, despite running in one of the most socially conservative states in the country. He is up against two-and-a-third-term Republican incumbent James Inhofe, in a state with a 44-year history of voting for Republican presidents, and where no Democratic opponent has climbed above 41 percent since 1990. Inhofe’s campaign has already out-raised Rice by more than two to one. So, why does a recent poll show that, upon hearing of Rice and his campaign platform, Oklahomans favor him over Inhofe by 43-41 percent? Rice is one of a number of Democratic candidates who are using the environment as a wedge issue, making gains in staunchly Republican districts by capitalizing on the growing practical and moral concerns about climate changes in rural communities across the country. Green issues are shaping up to be a key ingredient in the Democrats’ strategy to turn disaffection with President George W. Bush’s GOP into expansive down-ticket victories this November. While there are other reasons for Inhofe's drop in popularity--particularly his mishandling of the state’s devastating ice storm last year--environmental issues have surprisingly risen to the top of many Oklahoma voters’ agendas. According to a TVPoll survey taken in February, 86 percent of likely Oklahoma voters believe that the state and federal government must take a strong hand in tackling environmental issues--and so they’re taking a second look at the Republican Party’s hard-line stance on environmental issues. In the same poll, almost two-thirds of likely voters disagreed with Inhofe’s position on climate change, and a higher percentage believed that the Democratic Party was better positioned to handle environmental issues than the GOP. Still, mounting concern over the environment has become a significant factor in pushing previously unfriendly districts and states into play for Democrats. The longest-serving Republican senator in Montana’s history, Conrad Burns, lost his seat in 2006 to Democrat Jon Tester, an organic farmer whose campaign focused on plans to shift his state’s energy economy down a newer, greener path. Fourteen-year California GOP representative Richard Pombo, a loud proponent of drilling in vulnerable natural land, was beaten in 2006 by Jerry McNerney, a Democratic wind engineer who ran on a platform of clean energy and was backed by environmental groups like the Sierra Club and Defenders of Wildlife. Similar dynamics have helped propel Democrats to victory in states including Missouri, Ohio, and Colorado. After the Democratic sweep in ’06, president of the League of Conservation Voters, Gene Karpinski, declared, "This is the first election I can remember in U.S. history that has put such a specific focus on a top-priority environmental issue." “Climate change is not an issue that breaks down along the old ideological lines of the past,” says Matthew Miller, communications director for the Democratic Senatorial Campaign Committee, which has already assisted the Rice campaign with strategy and polling, and will be hosting a joint fund-raising event with Rice this month in Oklahoma. “There are very few candidates on the Democratic side who don’t have an energy agenda. The public now expects to hear about it.” Meanwhile, Inhofe's message about the environment remains mired in an outdated conservative agenda. "I am convinced that future climate historians will look back at 2007 as the year the global warming fears began crumbling," he said recently from the Senate floor. By refusing to recognize the consensus about the human impact on the environment, it’s more likely that, come November, the only thing crumbling will be Republican numbers in Congress. Marisa Mazria-Katz is a writer based in New York whose work has appeared in The New York Times, the Chicago Tribune, and Forbes.